Flying Paper » Gaza Youth Resilience: Resilience From What? 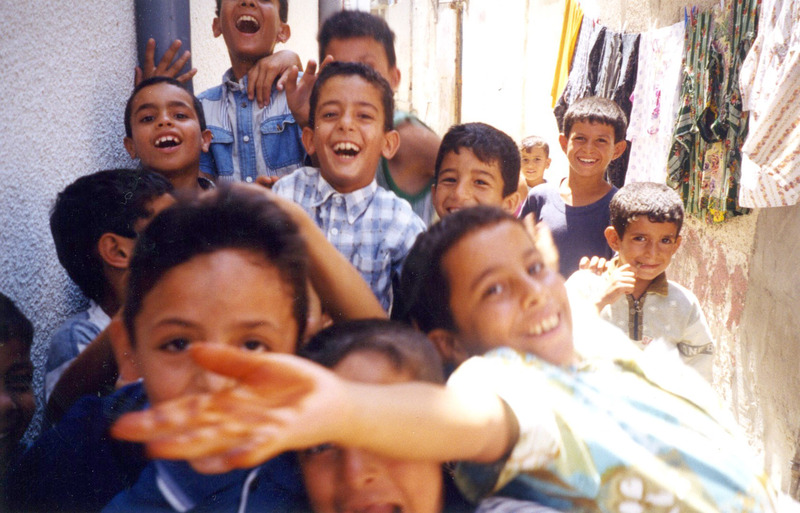 Photo by Hadeel Assali, Deir El-Balah, Gaza, Palestine, 1999. The upcoming documentary film Flying Paper tells the “the uplifting story of resilient Palestinian youth in the Gaza Strip on a quest to shatter the Guinness World Record for the most kites ever flown.” Sometimes we who are intimately familiar with Palestine take it for granted that those around us know of the conditions in Gaza and their causes. (I was reminded of this thanks to friends I recently made in New York and Texas.) It is by understanding this backdrop that these youth’s resilience becomes an even more astounding story; unfortunately, Western mainstream media outlets have not been very generous in shedding light on the realities in Gaza, which is why this film is so needed. Many may be wondering: Why Gaza? What are the living conditions for Gazans, and how did they become so dire? Why do many describe Gaza as an open-air prison? Here I will help answer these questions and hopefully enrich your appreciation for the story of these youth’s great accomplishment despite their unusually harsh environment. I personally have only been able to enter once in 1999, despite having roots and relatives there, and despite having a United States passport. I invite you to read of my experiences in 2006 when I was detained and denied entry into Gaza by the Israelis controlling the border, which I blogged about for the Houston Chronicle. Entering Gaza, especially for diaspora Palestinians, is nearly an impossible feat (later I will describe the blockade, which makes it even more challenging for Gazans to leave). Even now, this denial of entry is not an uncommon occurrence for diaspora Palestinians wishing to visit home and is not only limited to the Gaza Strip; just recently two Palestinian-American women were denied entry by Israeli authorities at the airport. They also were interrogated, searched and detained for several hours and then put on a plane back to the United States. However, this treatment of Palestinians on the “outside” pales in comparison to the treatment of Palestinians on the “inside.” Here I focus on the conditions in Gaza since this is the setting of the film, but it should be noted that Palestinians in the West Bank, Palestinian citizens of Israel and Palestinian refugees each have imposed on them their own set of unfair (and illegal) conditions courtesy of the State of Israel. The Gaza Strip is approximately 25 miles long and 6 – 8 miles wide, approximately 6 times the size of the island of Manhattan. Its land borders and all crossings are controlled by Israel (directly on the north east and west, by proxy to the south), and as you will see in the film, border areas are regular targets of Israeli bombings. Land borders are fortified with an Israeli-built metal fence and highly militarized crossings points, hence preventing the free movement of goods and people. The Mediterranean Sea to the west is restricted to 3 meters from shore and patrolled by Israeli warships, cutting of Gaza’s fishermen from their livelihood. Even the air space is off limits – Gaza’s airport was bombed by Israel in 2001, and the Gazan sky has regularly been abuzz with Israeli warplanes, including F-16s, unmanned drones, and sonic boom planes. Water, fuel and power shortages as a result of bombardments and the blockade have strangled the Gaza Strip economically and have had a disastrous social and public health impact on the population. This blockade has been imposed on Gaza by Israel for many years, including while I was there in 1999, the grip tightening in 2007 as punishment for the election of Hamas and the kidnapping of an Israeli soldier who was later returned. As a result of all this, much of Gaza’s 1.7 million people have become dependent on aid from the UN and other aid agencies. This is in addition to constant attacks that go largely unreported in the mainstream press. For a couple recent examples, see these articles from Mondoweiss and Electronic Intifada. As a result of this grim reality, a significant percentage of Gaza’s youth have been found to be suffering from PTSD, depression and severe anxiety. Yet somehow despite it all, inspiring stories of creativity, ingenuity, and resilience abound. The film Flying Paper shares one, that of the Gaza youth champions of the Guinness Book of Records for kite-flying, while hopefully compelling viewers to take a stand in support of justice, dignity and freedom for Gaza. Hadeel Assali lives in New York City, where she is pursuing an MA in anthropology at The New School. She founded the Houston Palestine Film Festival in 2007, which won the Houston Press award for Best Film Festival two years in a row. She produced and co-directed her first short film, “Daggit Gazza,” which screened in several cities across North America. Hadeel is originally from Gaza and was raised in the southern United States (Louisiana and Mississippi).